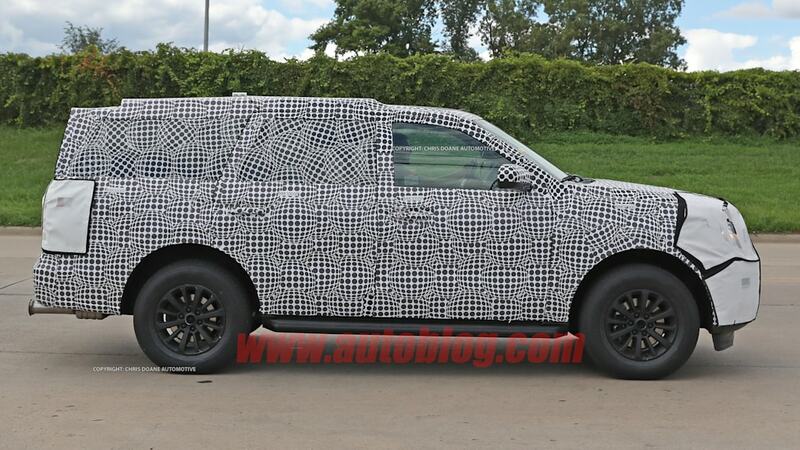 The greenhouse looks like it's been plucked right from Lincoln's Navigator Concept. 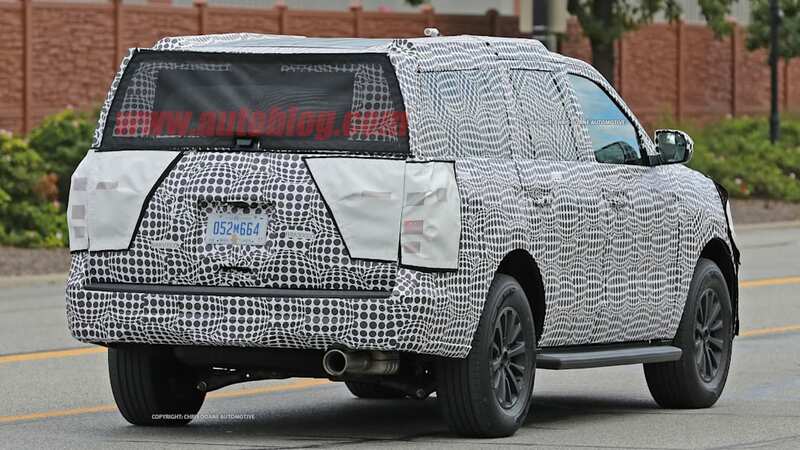 The Ford Expedition and Lincoln Navigator got a cool reception for their 2015 warmed-over redesign. 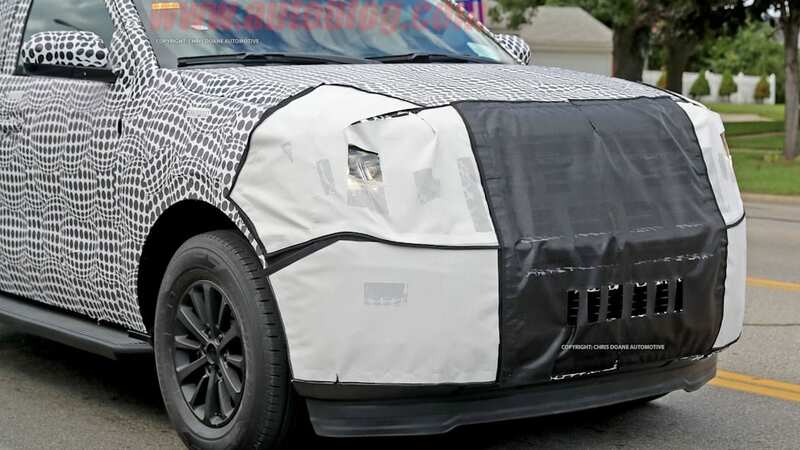 But with big, high-riding vehicles once again in vogue, Ford is pushing ahead with a ground-up redesign of its biggest SUVs. 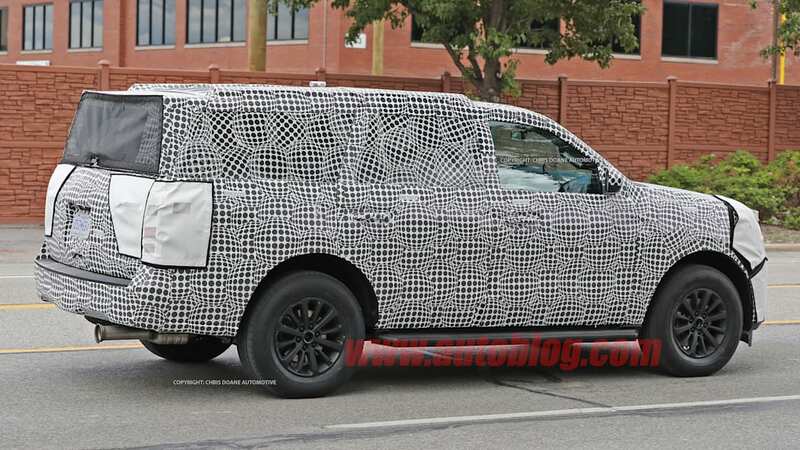 Based on these spy shots, the Expedition will continue to serve as the Navigator's more affordable twin. 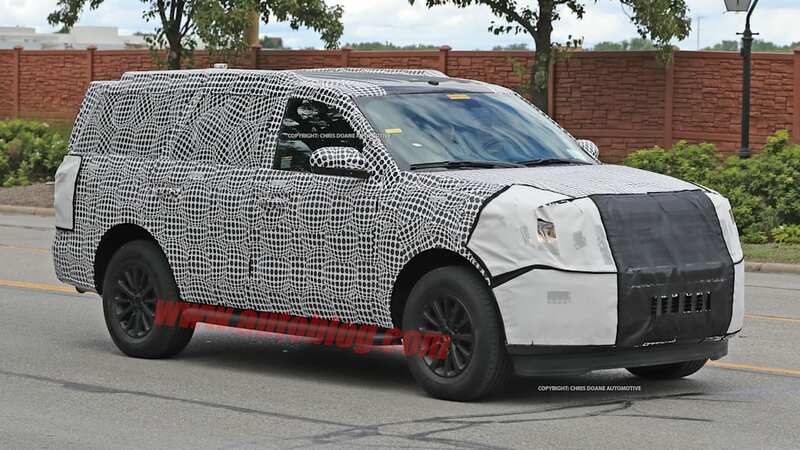 Yes, that's a bold prediction, considering we still haven't spotted Lincoln testing the new Navigator, but study the greenhouses on this Expedition prototype and the Navigator Concept from New York – from the arrow-straight belt line to the extra-long rear window to the aggressively raked windshield, this Expedition's overall profile is broadly similar to what Lincoln previewed earlier this year. 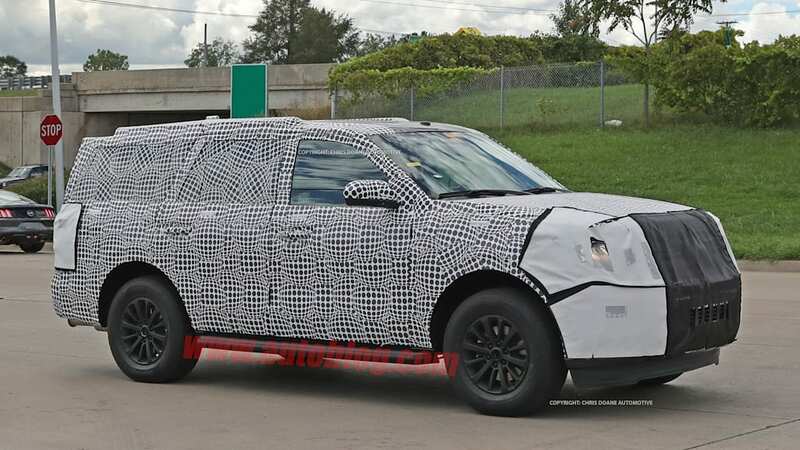 While our spies claim the new Expedition will look to the F-150 for design inspiration, we see a departure from past Expedition tradition. 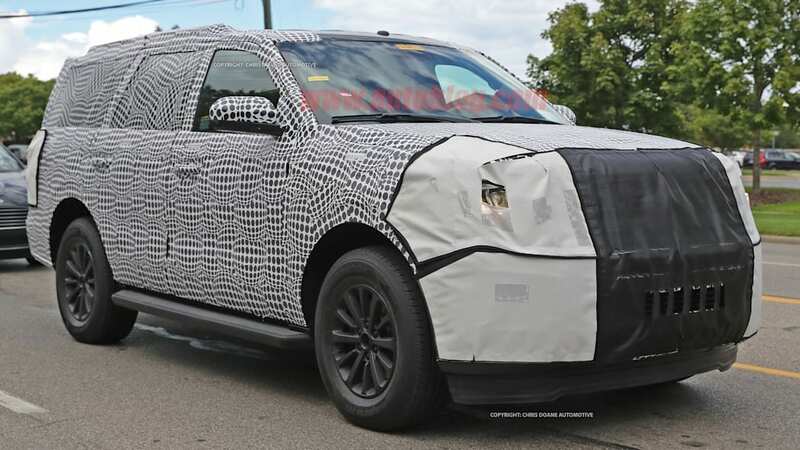 Unlike the supposed Expedition spy shots we showed you nearly a year ago – which was nothing more than an SUV with an F-150's nose grafted on, this prototype's front-end styling looks softer and more aerodynamic, with a smaller grille and headlights, almost like an Escape or Edge. 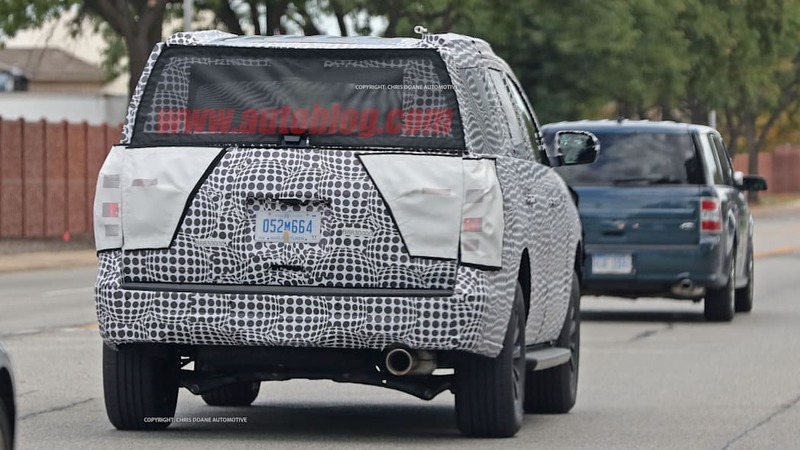 This kind of change would explain the additional front-end camouflage. 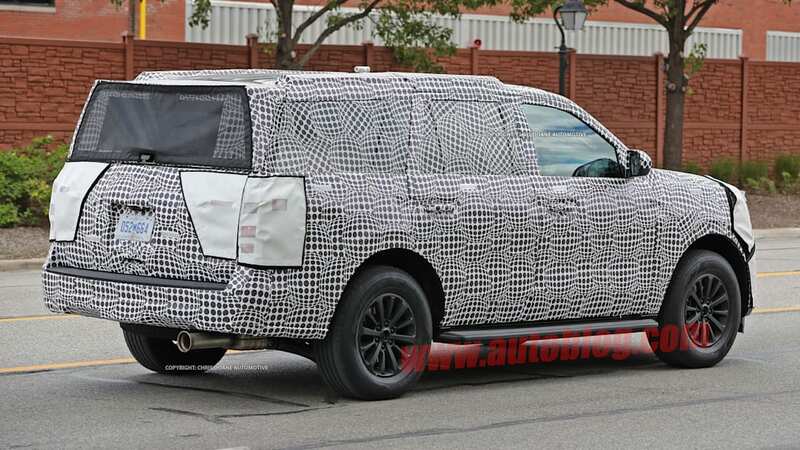 In back, our spies rightly point out that Ford fitted a faux rear end to disguise the rear window's rake – expect the real thing to feature the angled rear window previewed on the Navigator Concept. 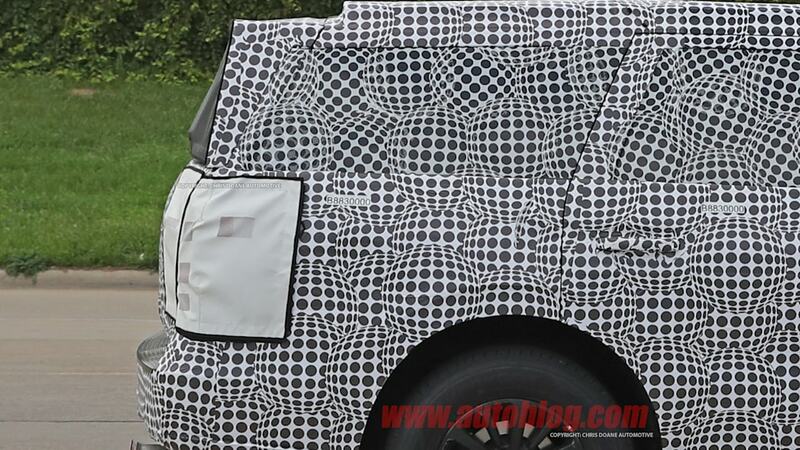 Look at the last image in the gallery for a better idea of how the Expedition's rear window will actually look. 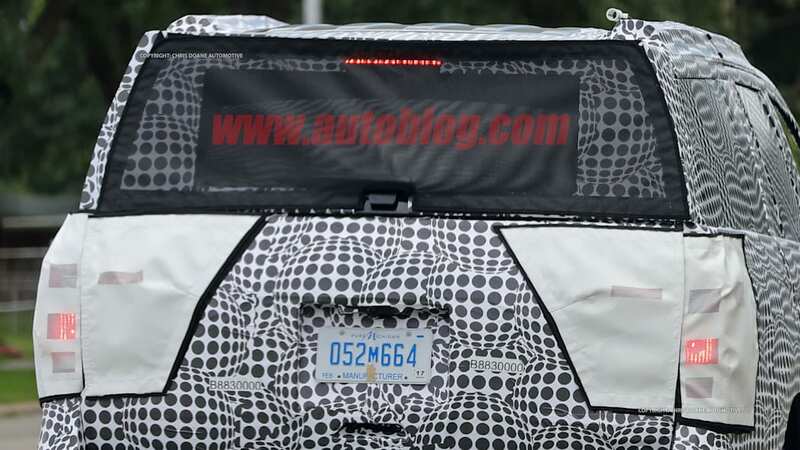 We can't say a lot about the taillights, because of the camo, but non-LED taillights are present. 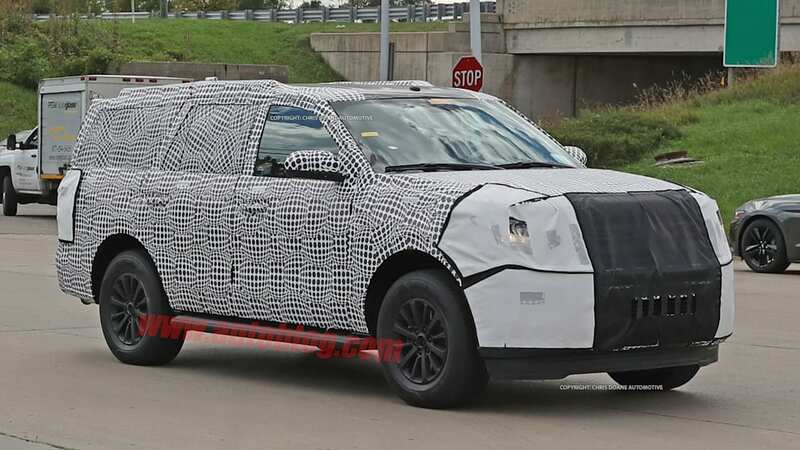 We'd expect Ford to offer LEDs on higher trim levels. 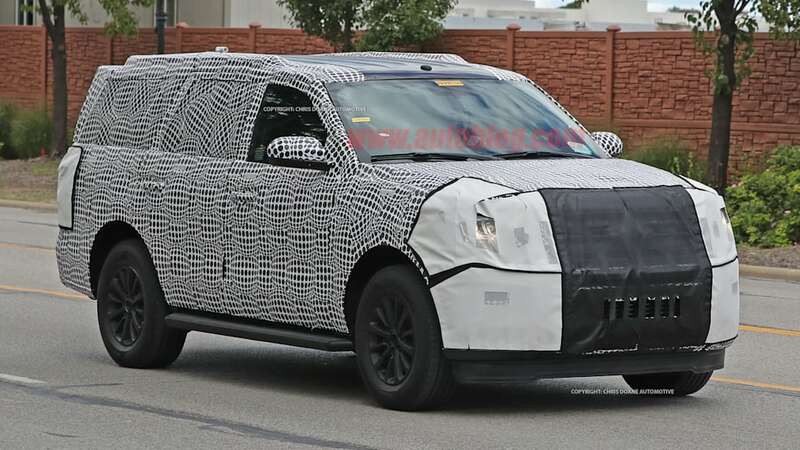 While the F-150's styling might not make the transition to the Expedition, its powertrains and emphasis on lightweight aluminum will. 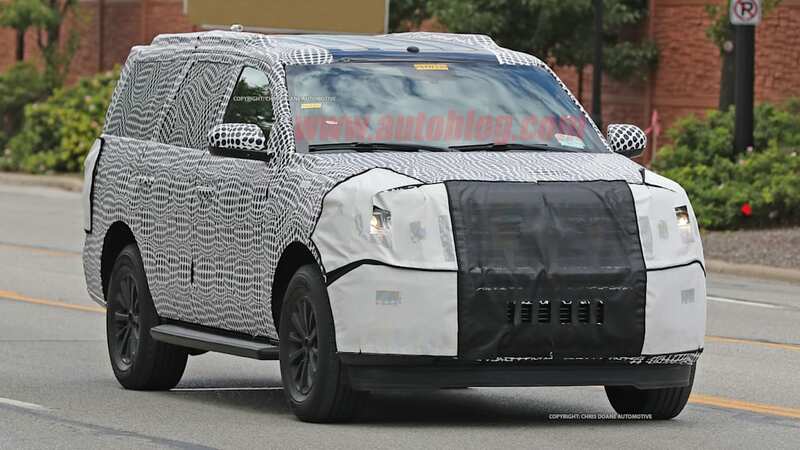 Our spies report the biggest SUV will ride on a new T3 platform and feature an aluminum body, with the F-150's 3.5-liter EcoBoost V6. 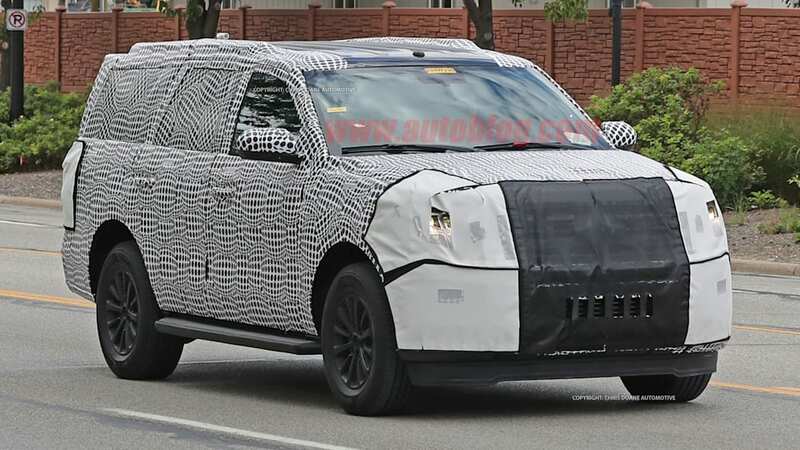 Expect a ten-speed automatic transmission and start/stop tech for sure, while the smaller 2.7-liter, twin-turbo V6 could slot in as the Expedition's base engine – we're less sure on that one. 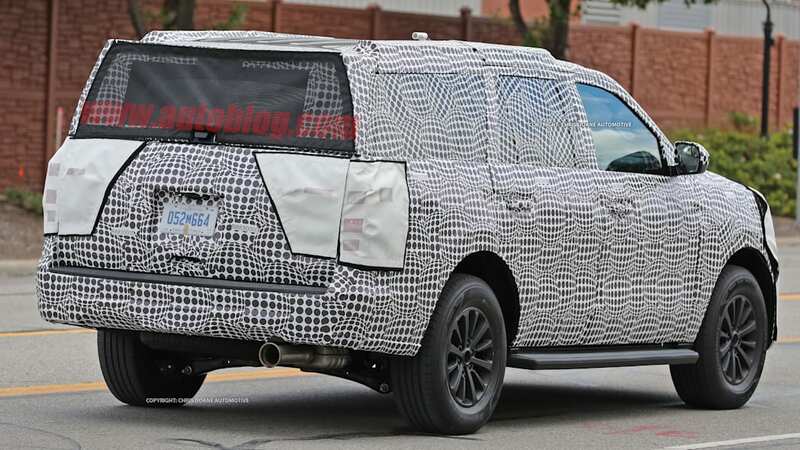 And we're even more uncertain of the rumors of an Expedition Hybrid. 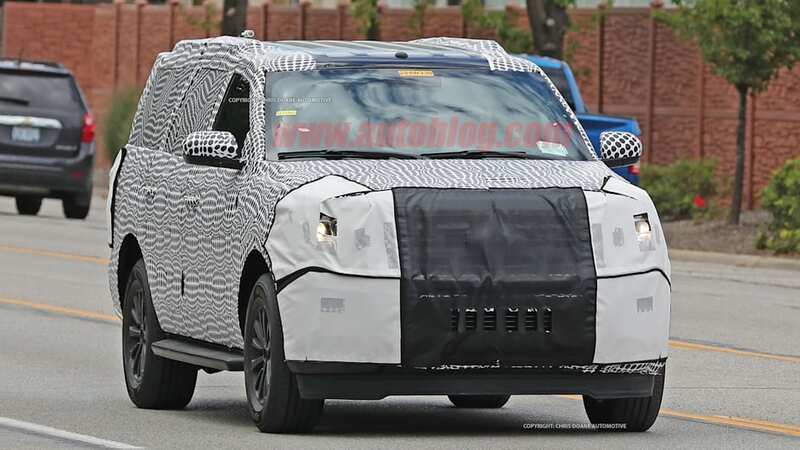 Our spies report it could mate a 3.5-liter V6 with an electric motor(s) and battery packs for a more economical full-size SUV. 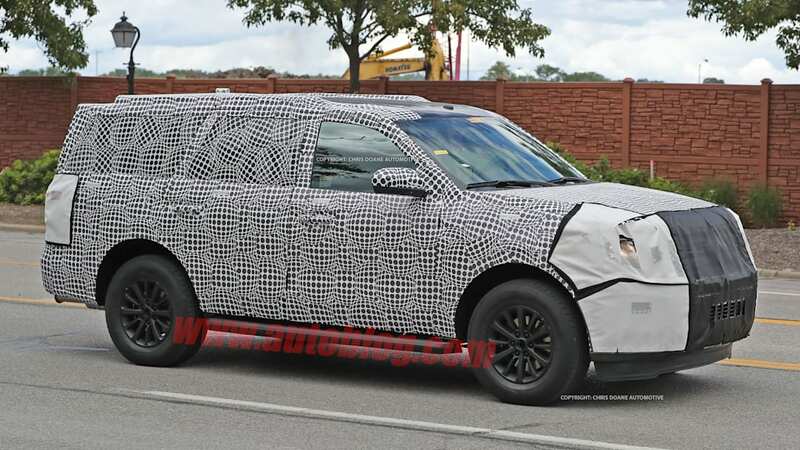 Expect to see the 2018 Expedition debut in January, at the 2017 Detroit Auto Show.